So here it is June 15th and I’m still doing just about everything you can think of except adding new words to manuscripts. We had wonderful family visiting last weekend and everyone got to meet Sassy dog for the first time. My 8 year old granddaughter and Sassy became besties, so Sassy was totally exhausted by the time they left. She’s hasn’t had that much attention since she stayed with my niece’s family in Indiana for several months and had one of my grand-nephews to pal around with. My four garden boxes are beautiful, at least to me, because it’s the first summer I’ve been able to really work at it since 2014. I’d almost forgotten how much I love planting and digging and harvesting and…yes…eating the produce. I’m finally pulling up the last of the spinach as it starts going to seed so I’ll miss having those homegrown fresh spinach salads. But I have crunchy sugar snap peas coming on and my kale is ready to eat, so that’s good. As for the #notwriting, I’m going to try a few sessions at the library or coffee shop with my laptop (turning off the wifi first, of course). With a little focus and a lot of determination, maybe I can get back to work. 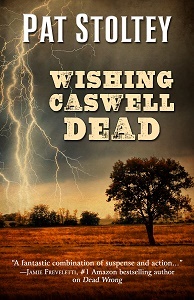 I recently learned that the real release date for my historical mystery Wishing Caswell Dead is December 20th instead of November as I’d thought. I need to rethink my plans for promotion. As part of that effort, I’ve registered for Left Coast Crime 2018 in Reno in March. I also think I’ll set up a special Facebook page for just this book. I’ve never tried that before so it will be interesting to see if it helps get the word out. 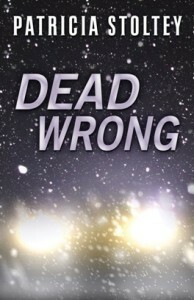 Two hard-working (unlike me) and creative local writers will guest post on my blog this month. Entrepreneur Teresa Funke, an expert on self-publishing and author of numerous novels about World War II for youngsters, is scheduled for Saturday the 17th. And on Saturday the 24th, my guest will be Nan Reed who writes in a variety of forms including short memoir and poetry and dreams of building and living in a tiny house. An extra note: local mountain climber and motivational speaker Jim Davidson successfully reached the summit of Mount Everest this month. If you didn’t follow his journey online, you can check out his posts and pictures on his Resilience with Jim Davidson Facebook page. I spent a lot of time #notwriting while I kept tabs on Jim’s climb. Other #notwriting projects included crocheting two more baby blankets to donate to Project Linus. The previously mentioned weed-pulling project took lots of time. I’m de-cluttering in the house and we’ll be tackling the garage this summer as well. And on and on. So tomorrow afternoon, the laptop and I will be at an undisclosed location away from home, and I will be writing…or at least sitting and staring at the screen while thinking about writing.